Image: “Work Gloves” by Justin Hamm. 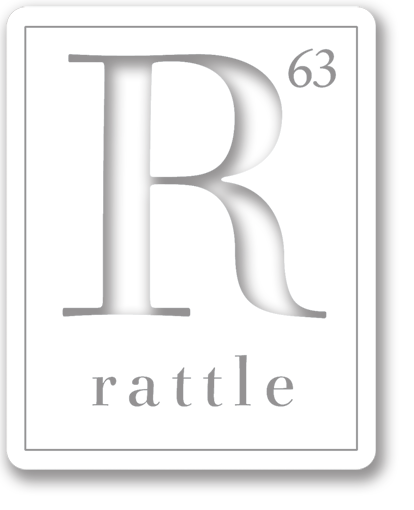 “Tan Hides and Hard Stuff” was written by Lisha Nasipak for Rattle’s Ekphrastic Challenge, February 2019, and selected as the Artist’s Choice. One pair at a time, like a tailored suit. Much like father but he was not as grand. He was more or less a leathered brute. Cowhide or tanned hides of quality leather. The only hides that were tanned were ours. Sitting there for what seemed like hours. Gloves that guard between bare hand and touch. Gloved to protect hands against bitter cold. But not a word of that have we ever told. 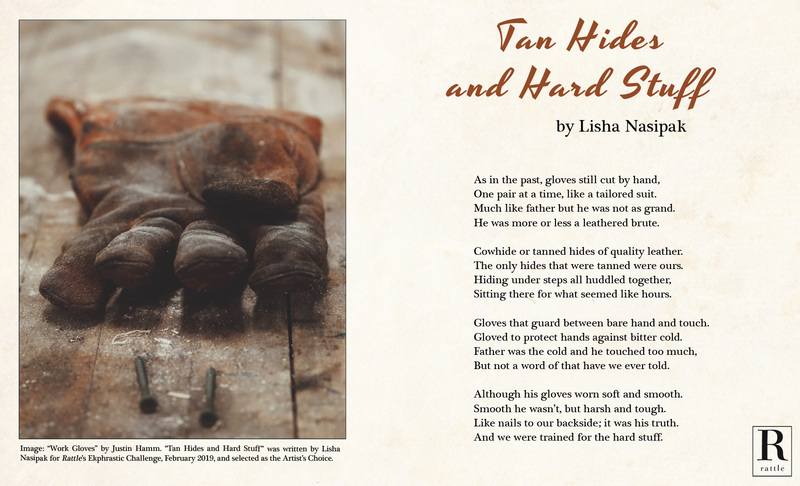 Although his gloves worn soft and smooth. Smooth he wasn’t, but harsh and tough. Like nails to our backside; it was his truth. And we were trained for the hard stuff.